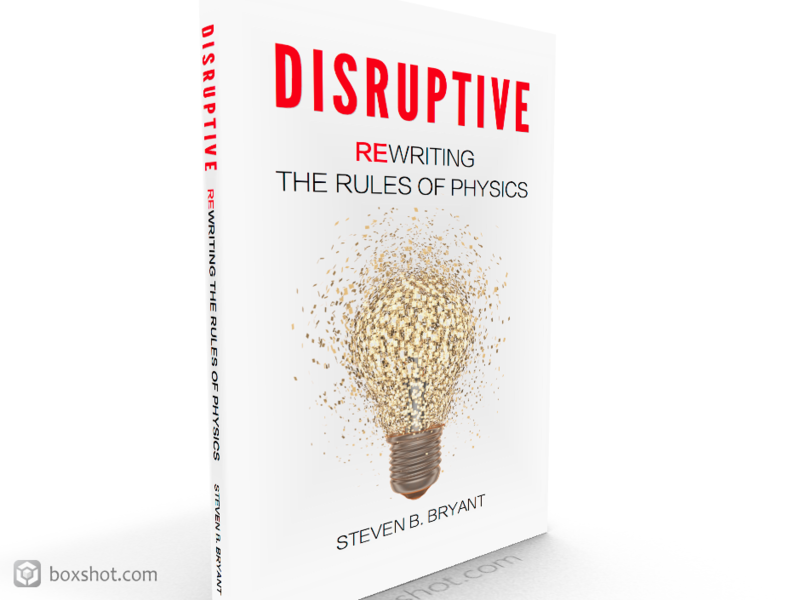 One of the most interesting aspects of physics is that it helps to describe how things move. This characteristic builds upon a mathematical foundation called geometric transformations. While this name, geometric transformation, sounds complicated, some of its most important ideas are actually quite easy to explain. Imagine for a moment that you need to open a jar of peanut butter, which you perform by holding the jar in one hand and turning the lid with the other until it opens. The motion of turning the lid has a mathematical name: Rotation. Next, imagine that you are holding a single rubber band between your thumb and forefinger of each hand. As you pull your hands apart you stretch the rubber band. This act of stretching also has a mathematical name: Scaling. Now image you are looking at yourself in a mirror. The image you see of yourself is described using the mathematical term: Reflection. Finally, imagine yourself crossing the street in a crosswalk. The act of walking in a straight line from one corner of the street to another corner also has a mathematical name: Translation. These terms – rotation, scaling, reflection, and translation – are called geometric transformations, or simply transformations. While each transformation is important and describes many of the movements occurring in our world, the two that we will explore are Translation and Scaling. 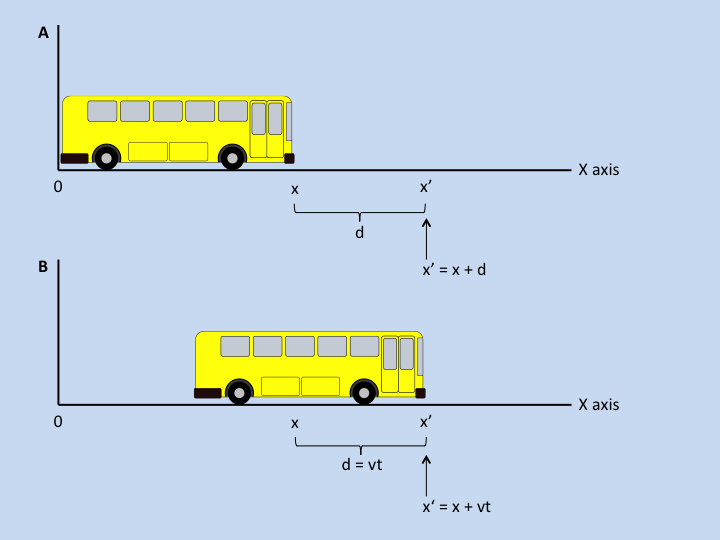 In A, the front of the bus is at position x. Position x’ is located d units to the right and d represents the distance between both positions. 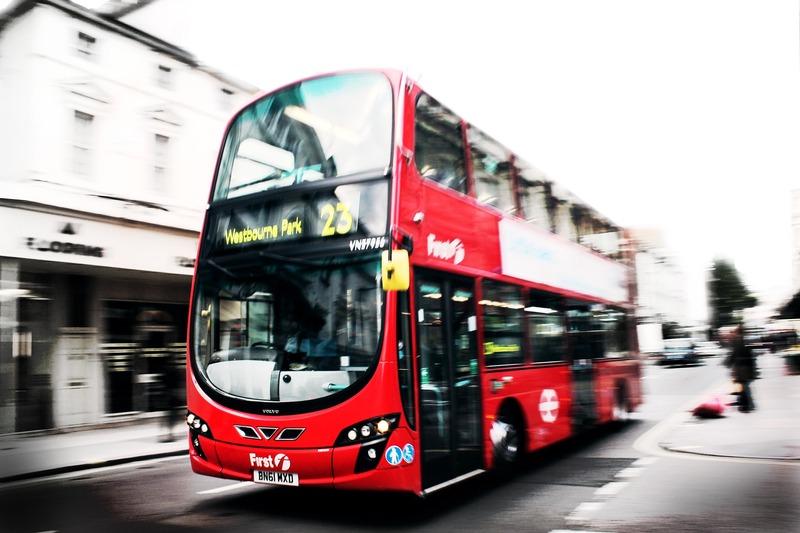 In B, when the bus moves at velocity v, it will cover this distance in t seconds. The description of moving using the translation equation forms the foundation of classical mechanics. It also forms the foundation of Modern Mechanics. Later in this tutorial series you’ll also learn that, contrary to common belief, Einstein’s theory of relativity does not replace this very simple equation. Before we explore that, however, we’ll need to explain scaling along with a few other ideas. More on that later. FACT: The concepts and equation associated with the translation transformation form the foundation of physics.